There are hundreds, probably thousands of images taken during the holidays. Family, friends, gift unwrapping, food, parties and so much more. Most of those images are wide shots, full scenes of the activities and decorations. Have you ever thought to step a little closer? Let’s look at some ways you can get the details of your holidays as well to complete the story of your festivities. Try as we might to preserve the ornaments and decorations that have been handed down from our relatives over the years or those wonderful homemade ornaments that you brought home from school when you were little, they wear out, break and can get lost. What better way to keep those memories alive and record the history of your family traditions than taking photos of them. Macro shots bring us in and help us feel like we can still touch them, hold them in our hands and maybe even create new ornaments with the images we’ve taken. Are there special recipes in your family that are only shared over the holidays? It’s nice to have images of the amazing food that is passed down generation after generation, but how about some detailed shots of how that melty chocolate looks, or what the garnish looks like when placed just right? Why not take those images and create your own family cookbook to hand out next year? Use lights as a background for your image. The colors and bokeh can be fun and interesting. 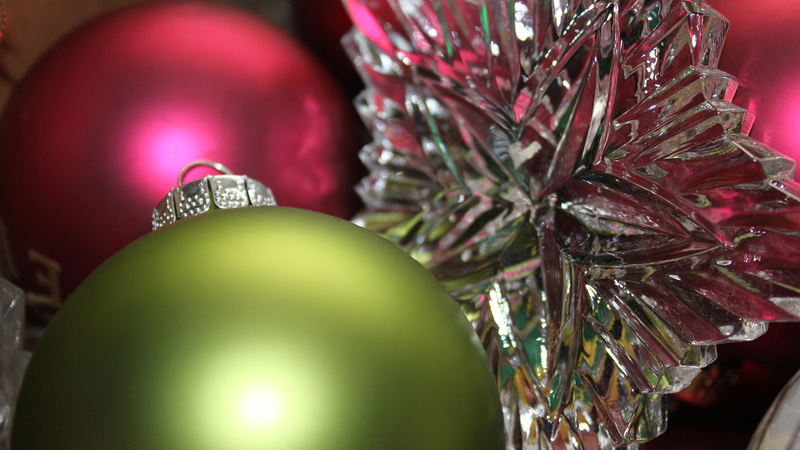 Place the lights behind clear or translucent ornaments to see the effects. Capture the light reflected in the shiny ornaments. The only limit is your imagination. Don’t have a macro lens? Use reverse ring adapters or extension tubes. These can both be an inexpensive way to introduce yourself to the world of macro photography. Cheat. What I mean by cheating is to use your telephoto zoom lens to zoom in. That can work as well. If not that, in today’s mega megapixel cameras you can crop as well. Pull into the scene to grab the detail you want out of it. Explore. Experiment. Play. Be a kid. Most of all, have fun with it and have a wonderful holiday season. Beautiful Lauri!! This Sheila DuBois I do have an extension tube for my Nikon. I need to charge my batteries.